Explanation: Parts of Saturday's (March 3) lunar eclipse will be widely visible. For example, skywatchers in Europe, Africa, and western Asia will be able to see the entire spectacle of the Moon gliding through Earth's shadow, but in eastern North America the Moon will rise already in its total eclipse phase. 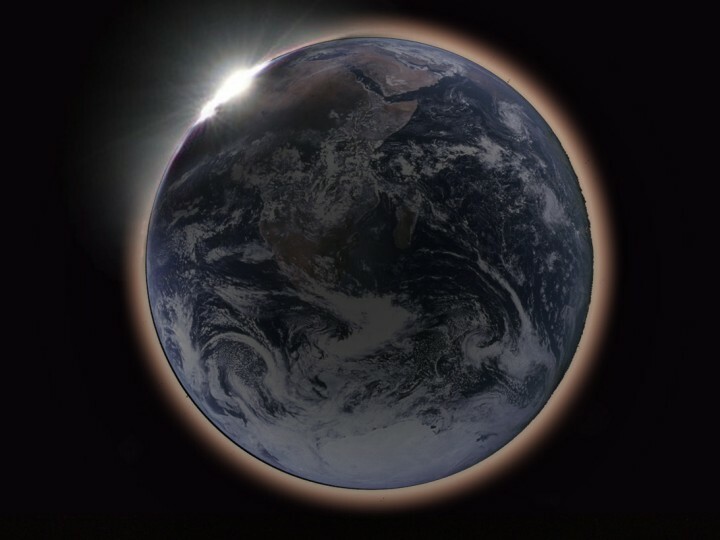 Of course if you traveled to the Moon's near side, you could see the same event as a solar eclipse, with the disk of our fair planet Earth completely blocking out the Sun. 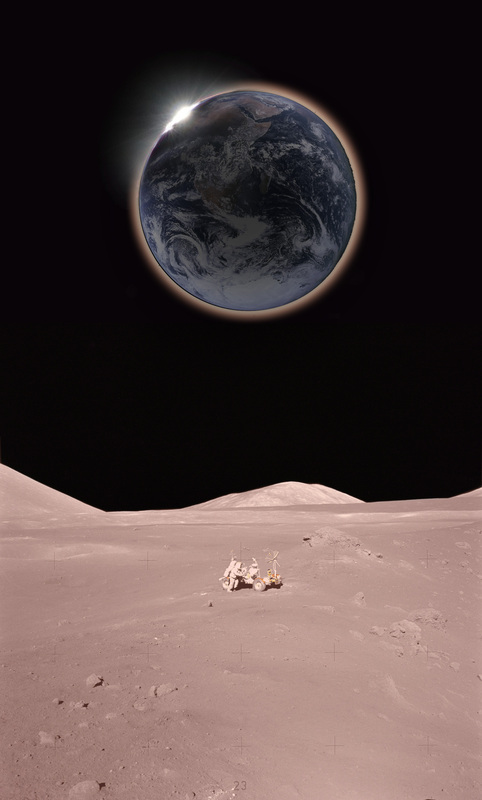 For a moon-based observer's view, graphic artist Hana Gartstein (Haifa, Israel) offers this composite illustration. In the cropped version of her picture, an Apollo 17 image of Earth is surrounded with a red-tinted haze as sunlight streams through the planet's dusty atmosphere. Earth's night side remains faintly visible, still illuminated by the dark, reddened Moon, but the disk of the Earth would appear almost four times the size of the Sun's disk, so the faint corona surrounding the Sun would be largely obscured. At the upper left, the Sun itself is just disappearing behind the Earth's limb.